Typically dark in color; ranges from black to light brown to reddish-brown to honey. Blonde echidnas present on Flinders and Kangaroo Islands. Distinct rolling walk that is unique among modern mammals. Short stride. Able to swim. Most active at night, evening, and early morning. May be active during the day. Annual breeding cycle. However, females may only successfully wean one young every 4-6 years. © 2017 San Diego Zoo Global. 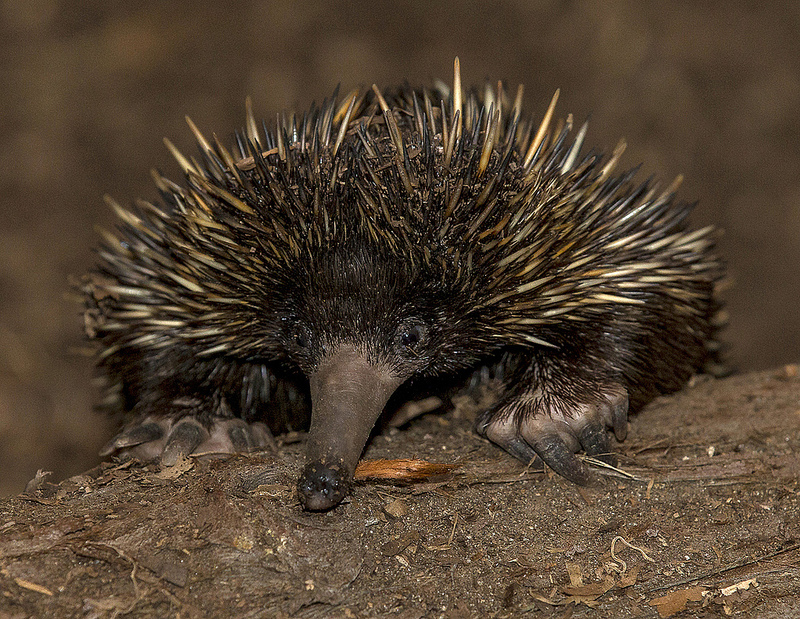 How to cite: Short-beaked Echidna (Tachyglossus aculeatus) Fact Sheet. c2017. San Diego (CA): San Diego Zoo Global; [accessed YYYY Mmm dd]. http://ielc.libguides.com/sdzg/factsheets/short-beaked-echidna. Many thanks to Dr. Stewart C. Nicol for providing expert content review of this fact sheet. Dr. Nicol is Professor and Honorary Research Associate at the University of Tasmania in Hobart, Australia. Since the 1980s, he has conducted field and laboratory research on the ecophysiology of monotremes (echidnas, platypus). Dr. Nicol has published extensively on many aspects of echidna biology, including physiology, diet, communication, reproduction, breeding behavior, anatomy, and evolution.